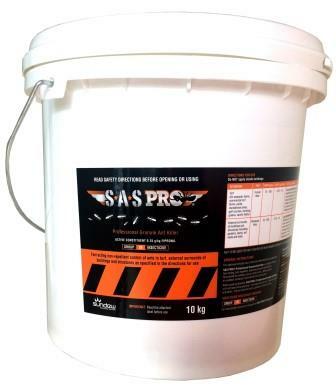 SAS PRO Professional Granule Ant Killer. Sundew Ant Silica (SAS PRO) is the first NON-REPELLENT 0.25g/kg Fipronil based specially graded silica carrier granule for use in the control of nuisance ants in external surrounds of buildings and structures including gardens, lawns, ant nests and trials. Also registered for application to commercial turf farms, parks, recreational areas, golf courses, bowling greens, sports fields etc.